GemTech can grant diplomas and certificates recognized by I.G.I. of Antwerp. This courses are constantly updated and provide to the students a high grade professional formation. The encounters with professional and experts of this sector can give the opportunity to gain useful contacts, often important for the future. The classrooms laboratories, hosted in Marcianise, provides to our students all the needed strumentation. We provide an extensive amount of gemstones, a key to develop observation and identification skills for a correct diagnosis. 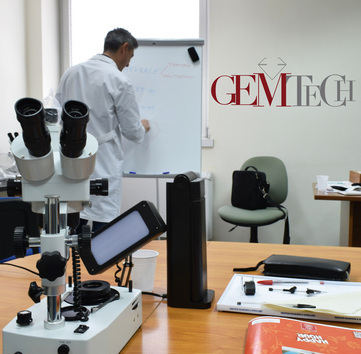 Teachers are all Accredited Gemologists, with large scientific, technical and didactical experience. 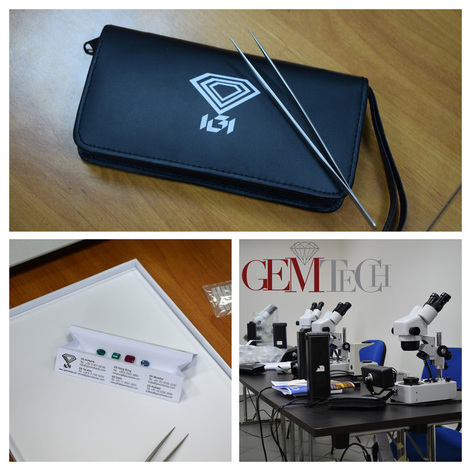 The International Gemological Institute grant the Graduate Gemologist Diploma (IGI G.G. ), one of the most widely and recognized and accepted qualifications in the industry, after the attainment of all the Polished Diamond, the Rough Diamond and the Colored Stones courses. How long are enrollments to the courses open? Enrollments are open as long as we have availability. Just e-mail to corsi@gem-tech.org, leave a contact with your name. You will be answered. Or call +39 0823 1800057 as long as we have availability. No educational qualifications are required. Advanced courses attendance is subject to achievement of previous levels. Minimum age for attendance is 15. Younger than 18 should provide a permission from parents. All courses are held in Italian language. All courses are given in italian only.